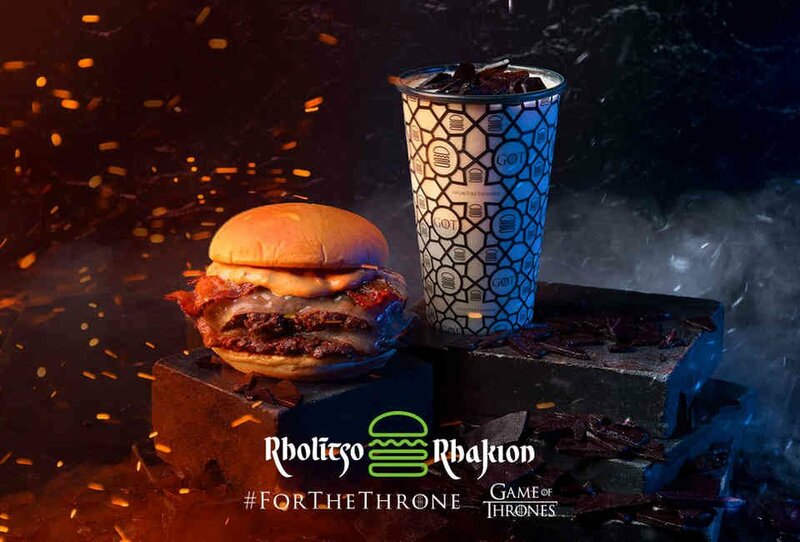 In partnership with HBO and in anticipation of the premiere of the 8th and final season of Game of Thrones, Shake Shack launched a special Game of Thrones fiery burger and Señor Lechuga hot sauce is the FIRE in the burger! Shake Shack’s executive chef (John Karangis) and head of culinary (Mark Rosati) crafted the burger in Shake Shack’s Innovation Kitchen incorporating Señor Lechuga Hot Sauce .002 (Chipotle Salt Reapers) to provide the “fire" in Shake Shack’s biggest collaboration to date. Of all burgers tested and all the hot sauces that could have been selected for this massive collaboration with these two powerhouse and esteemed brands, Señor Lechuga Hot Sauce was chosen. The fiery burger was originally exclusively at NYC’s Madison Square Park (along with the Game of Thrones Icy Dragonglass Milkshake for a complete Fire & Ice GoT concept), and could only be ordered if requested in Valyrian (the fictional GoT language). After a week at the single location, the secret menu rolled out nationwide, with the burger being offered at select Shake Shacks in top markets across the country. The collaboration instantly went viral resulting in tons of press, with the burger getting phenomenal feedback and reviews. Timed for Labor Day Weekend, our .003 pineapple flavor inspired a taco collaboration at Danny Meyer’s Tacocina in Williamsburg Brooklyn. The carnitas collab was so popular, it became a permanent menu item. Half Face Blades is trusted by everyone from special warfare operators around the world to the elite team in Thomas Keller’s kitchen for his dining room at French Laundry. For Valentine’s Day, we joined forces to create a custom one-of-a-kind drop-dead-gorgeous Señor Lechuga Hot Sauce Santoku blade, which we gave away (though it pained us to part!) to prove our love for our followers and fans. Luxury subscription service Bespoke Post selected Señor Lechuga Hot Sauce as their brand partner for their most popular box. Timed with Cinco de Mayo, the Hecho box now contains spice blends that Señor Lechuga custom created so that people would be able to make their own version of Señor Lechuga Hot Sauce. For the launch, a Meet the Makers video was created that introduces the Bespoke Post community to the husband + wife co-founders of Señor Lechuga Hot Sauce and also details the steps in making your own hot sauce. Check out the video here!